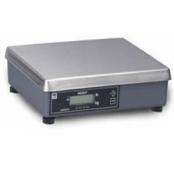 The NCI 7821 parcel and shipping scale has a high capacity (up to 100 kg / 200lbs) but a compact footprint, to save valuable counter space. This allows you to weigh parcels of almost any size on the same scale, saving time, cost and space. This scale is switchable between lbs / kgs. NCI is the brand name for products manufactured by Weigh-Tronix in Santa Rosa, CA. Since beginning in 1964, NCI has been a technology leader and innovator in manufacturing Mailing and Shipping bench scales, Point-of-Sale Interface scales, and Dot Matrix and Thermal Printers. NCI brand products have a history of innovation that spans more than 35 years. 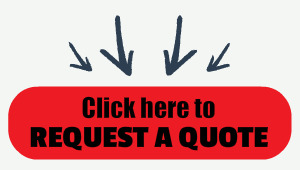 Customers expect and receive quality, durable equipment, delivered on time. The 7821 is simple to use, durable, accurate and reliable. Its units switching feature is required for some international shipping. This NTEP approved RS-232 interface scale fits into any operation as a stand-alone scale, interfaced to a shipping manifest software, or receiving station. Stainless stell weight platter, die cas aluminum base. Alternate span points can simplify field calibration by using less than full capacity weights. Standar NCI default with field configurable setting of 8213 and 3835. This allows you to select compatible scale communication settings or scale drivers during field installation when interfacing with shipping software programs or host devices. 1/2” high, six digit LCD. Relative Humidity: 10 to 95% (non-condensing). RS-232, bi-directional, configurable 1200 - 19.2k baud. Transmits weight and scale status whenever ASCII “W” <CR> is sent by a remote device.